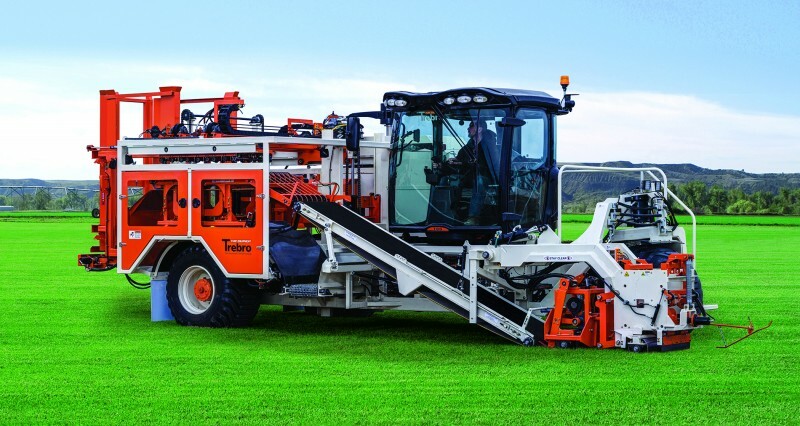 Trebro TSR and TSS Automatic stacking turf harvesters. 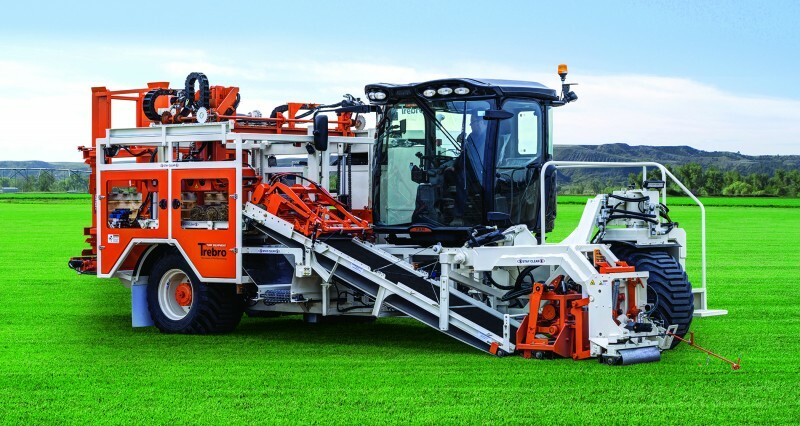 Trebro Manufacturing Inc. is pleased to announce the introduction of the all new TSR and TSS automatic stacking turf harvesters. Available in roll or slab configurations, these exciting new machines incorporate proven Trebro technology coupled with many new and innovative features. Powered by 140 horsepower John Deere engine with all wheel hydrostatic drive, these rugged machines can handle a wide variety of harvesting conditions. A quiet, comfortable operators cab rotates 90° to place the driver in the best position to see all of the harvesting and stacking functions. A variety of cutting widths are available including 16 inch, 21 inch, 23 inch and 24 inch. The proven Trebro floating cutting head with dual adjustable down pressure produces remarkable quality of cut. A unique cross conveyor scrap dump places scrap sod of the way for the next pass or can be accumulated and discarded at the end of the field. Neat, stable stacks of turf are consistently produced with an on-the-fly pallet exchange. The pallet injector holds 20 empty pallets and a pallet lifter option for double sided pallets is also available.